Rain Gutters Turned Bookshelves – LOVE IT! OK, stumbled on this idea today and since I wanted to keep track of it, what better place to put it than to share it with all of you? Sadly, Erin over at The Conscious Shopper has made the decision to stop writing her blog. Read more about this decision here.She will be leaving her blog up for anyone (like me!) who is only just now starting the Conscious Shopper Challenge and will continue to issue Challenges through her other blog: The Green Phone Booth. Week 1 I kept track of how many garbage bags we used. Week 2 I used ONLY reusable bags in all of my shopping. Week 3 Start using a reusable water bottle or thermos. Regardless, going green in the bathroom was not as daunting as it may seem. In fact, for the requirements of the challenge, I was well within the Marathon guidelines. My goal was to advise all of you better ways to Ditch the Disposables in your bathroom. And in the research for that post, I’ve stumbled on ways that I can further reduce our/my waste in the bathroom. #1- Shampoo: I’ve decided I’m going to try the No ‘Poo method as soon as my current bottle of shampoo is finished (which should be this week). #2- Subscribe to the Preserve Toothbrush plan. 🙂 Will be doing this after the holidays. #3- Deodorant: Make my own. After I’ve mastered the No ‘Poo challenge. So, as I move through these, I will be sure to let you in on it all! 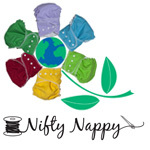 The next mini-challenge from the Conscious Shopper is: Green Your Diapers. Baby Steps: Switch to eco-friendly diapers. Jogging Stride: Use cloth diapers at home. Marathon Runner: Use cloth diapers full time. Well, as my regular readers already know, we use cloth diapers on both of our children. The only time they are not cloth diapered, is when they are at my MIL’s (2 days a week) and that is simply because she chooses to buy disposable diapers. For us, choosing cloth was to save money. So, if she wants to buy disposables and isn’t asking us to pay for them, that’s up to her. If she wants us to pay for them, she’s going to use cloth. 🙂 Simple as that. 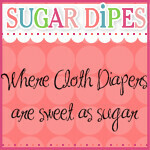 Our other two sitters use our cloth diapers without any problems. One watches them at her house and everything just goes in a wet bag. The other watches them at our house and knows our system. So, for all of you who want to take on this challenge, go ahead. But I’m moving on to the next challenge: Reduce Packaging. Baby Steps: Buy concentrated products. Buy products in bulk. Jogging Stride: Eat fresh foods. Limit individually packaged foods. Marathon Runner: Buy from the bulk bins. Choose used over new. Is there a way to get this used or with no packaging? Is there a way to buy more of this item, to limit the amount of packaging? Is there a way to buy this that great-grandma would have recognized it – pure, whole, and fresh? Check back with me next week! Anyone want to join me on this? Head over and take the Challenge! Napkins: we use exclusively cloth and have since our marriage began 5 years ago. So, that one was a no-brainer. Tissues: *I* use handkerchiefs. It is a bit of a personal challenge to get DH to do this also. Right now, we have no disposable tissues in the house. I took our last box (free from my stay at the hospital with #2), cut out a square in the bottom, and actually folded the handkerchiefs in a way that by pulling one out the slit in the top, the next “pops” up. Just like disposables! I’m pretty proud of it. Need to “beautify” the box, but it works for now. (My mom even used one when she was visiting to wipe #1’s nose! Into the laundry basket I keep in the pantry for laundry day. I was so impressed. ) If anyone is interested, I can post some pictures. Paper Towels: another personal challenge. I use dishtowels or dishcloths for everything you might use a paper towel for. In the past it has taken us years to use up the pack of paper towels. But DH finds paper towels easier for the “messes” #1 likes to make when eating, etc. so we have been buying them more lately. I’m still fighting him on that one, but I will win. It doesn’t help when we find paper towels for nearly nothing at the store. Wet Wipes: I only thought of this one the other day, so it wasn’t part of my week’s challenge. We use cloth wipes with our diapers, but often find disinfecting wipes best for cleaning down the high chair and #1’s eating spot, as well as disinfecting items during cold & flu season. It really has been bothering me, because we can chew through a lot of these depending on the time of the year. And then I came across this post over on Money Saving Mom (love that site! ), which linked me to Live Renewed (another new site I love!) that had a recipe for “Homemade ‘Clorox’ Wipes”. This is what I needed! Now, sadly, I don’t have all of the supplies. I think I could make do with the dish soap instead of Castile Soap until I can pick some up, but the tea tree oil I definitely don’t have a substitute for. But I can make it up in principal, try it out, and the next time I’m at Whole Foods pick up the rest of the supplies. On my to-do list for the weekend. Seriously, we go through so many of these wipes. Lastly, Toilet Paper: It is possible to use cloth wipes for yourself in the bathroom. People do it all over the world! For some reason, it’s deemed icky here. I’ve decided I’m adding The Bathroom to my list of Ditch the Disposables series and I’ll go over “family wipes” there in detail. Suffice it to say, while I did not reach my goal of 100% use while at home, I did use them 80-90% of the time. This week’s mini-challenge is: Go Green in the Bathroom and the main focus is on greening the personal care products you use there. Marathon Runner: Switch to products that score low on the Skin Deep Guide. Now, for myself and the kids, we are already Marathon Runners on this one. In fact, I wrote a post about it. I still can’t get DH to drop his Head & Shoulders shampoo. So, my goal for the week is to write that Ditch The Disposables: The Bathroom post and let you know the options and where you can find them for purchase (or how to make them!). And for fun, 20 Headboard Ideas. These are AWESOME. I’m filing this one away….